An Inside Look at Joel Embiid, NBA LIVE 19 Cover Athlete. It is with so much pleasure that we finally unveil the NBA LIVE 19 cover athlete, Joel Embiid! For those who aren’t familiar with Embiid, where have you been – hahaha! He’s one of the league’s top players and has truly taken both the NBA, and fans, by storm with his revolutionary play. On offense, Embiid has been able to lead a new era for big men who now can run the break, shoot the three-ball, and even create with polished playmaking ability. Becoming synonymous with the motto “Trust the Process,” Embiid has helped transition the lottery-bound Philadelphia 76ers into a legitimate playoff threat. Even more than being a part of the team that turned the culture around in Philly, he’s embodied the entire idea of “The Process” as he’s taken over the nickname, because he was also progressing through life during this period. When you talk about passion, there are a select group of players who come to mind. None of them bigger in heart or in stature as Embiid. Not only has Embiid had many uphill battles seeing injury-after-injury, but he’s had to work so hard to convince people that the wait was actually worth it. For some, Philly fans included, Embiid wasn’t always the city’s beloved team leader. You’ve got to think that this served as motivation for Embiid to train and turn into one of the best centers in the game. We only talked about his offensive talents above, but the defense is what he’s been most recognized the most for in his still-young basketball career. In college, in his lone-year at Kansas, Embiid was named Big 12 Defensive Player of the Year. In just his second real season of NBA action, Embiid was named an NBA All-Star, to the NBA’s All-Defensive second team, and a finalist for the Defensive Player of the Year award – a title that some of the greatest of all-time never even get to boast. 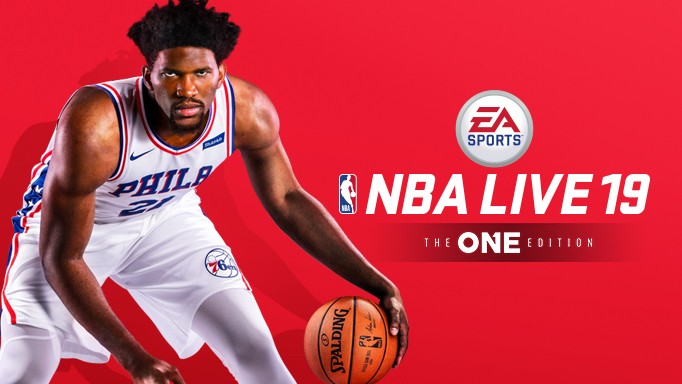 I got the chance to talk to Embiid, an avid gamer, about the kind of honor he felt to get on the cover of NBA LIVE 19, within all these other accomplishments. Embiid often talks about his Cameroonian heritage – to put it into perspective, there are only three current NBA players from the country, and we’ve only seen five players in total from Cameroon play in the NBA. Now, part of a celebrity culture that consists of playful flirting with stars like Rihanna, Embiid has never lost sight of what it took for him to get to this point in his life. The Process really began to come together for the one-time volleyball player from Yaoundé, Cameroon, once he was shown a video of Hakeem “The Dream” Olajuwon at 15 years old, and immediately switched sports. “I always wanted to be like two big men. Akeem (Hakeem Olajuwon) was one and then Wilt Chamberlain was the other. I tried to take skills and a little bit from both. At only 15, Embiid was first introduced to seriously playing the game of basketball. After attending current NBA player, and fellow countryman, Luc Mbah a Moute’s basketball camp (along with the third Cameroonian player in the NBA, Pascal Siakim) as a teenager, Embiid launched onto a quick trajectory to learn, grow, and turn into a truly special player in this league. Not even knowing how to speak English at first, I’m not sure anybody, even Joel himself, could’ve seen this sort of progression. In NBA LIVE, you have the ability to become The One, the same way that Joel Embiid has become The One in his own life. There’s a lot more to becoming The One than just developing your skills on the court and saying the right things off of it, you need to make decisions to ensure that you turn into the right guy to lead your team to the promised land. When you look outside of the sold-out stadiums of the NBA, sponsorships and endorsements don’t matter anymore. When you hit The Streets, reputation is all that matters. The culture of The Streets, everything from trash talk to the competitive nature when you’re playing for pride and clout – Embiid has earned these, but you’ll need to go through the circuit to build your star. 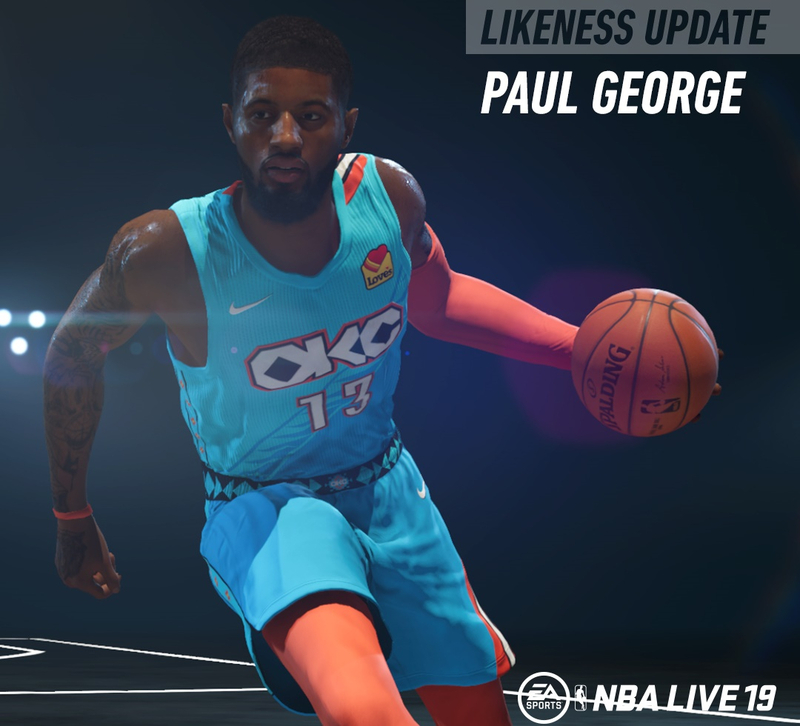 Like Embiid did with big men such as Wilt and Hakeem, you’ll get the chance to mold your game after your favorite players with the new Icon Progression System. If you’re bold enough, you can even try to take some aspects of Embiid’s game and add them to your repertoire. 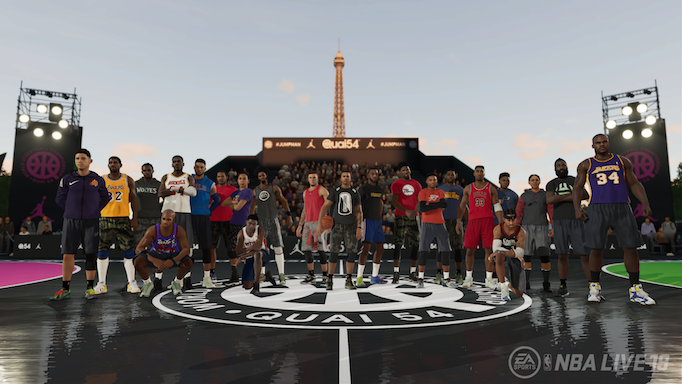 And don’t forget about the feature Build Your Squad. You can “Trust the Process” by creating your own group of five who travel the world and beat the best. As you go, be sure to pick up players from other squads to add to your own team – you can play the role of general manager (like one of Joel’s favorite people used to). Whatever your flavor, NBA LIVE has it. To add to that, we’re so proud to have Joel, a true pioneer and inspiration, as our cover athlete. While never losing his enthusiasm and bravado, he’s taken his own journey to stardom, one that can’t be recreated, but one that is so special to people he’s met and those who have only appreciated from afar. 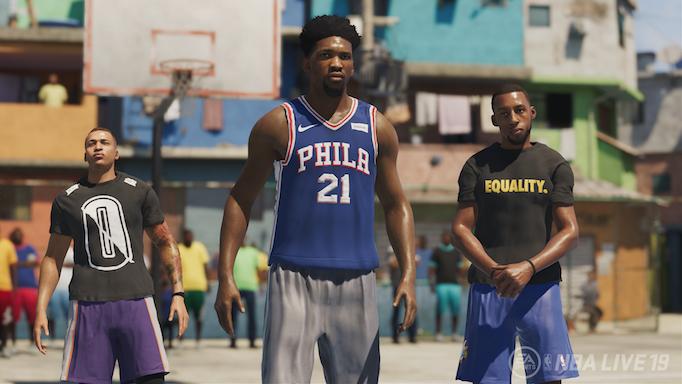 Create your own story alongside Joel Embiid in NBA LIVE 19.